“Have you ever seen a congressman snacking on a measly tin of sardines? Or maybe a governor ordering a McChicken off the dollar menu? In Washington this week that scene was reality for three Democratic politicians who are taking the Live the Wage challenge. Reps. Tim Ryan and Jan Schakowsky joined former Ohio Gov. Ted Strickland in taking the challenge–and are each living on a budget of $77 for the week–the same amount that a minimum wage worker typically has to spend on food, transportation and day-to-day expenses–after factoring out major costs such as rent and utilities. A $77-a-week budget certainly doesn’t allow for luxuries. 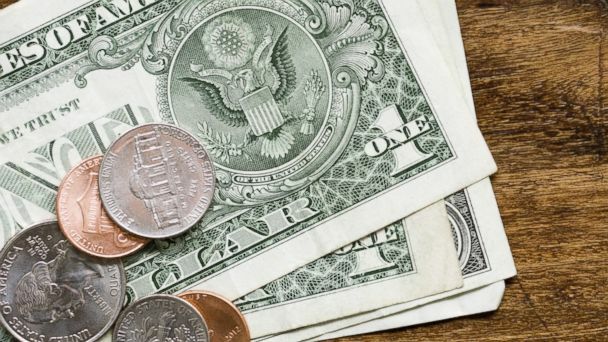 The congressman began the “Live the Wage” challenge last week with hopes of bringing attention to the hardships facing minimum wage workers around the nation. “I’ll walk down the aisle and I’ll see something–you know, that would be great and I throw it in the cart. There’s just none of that when you’re on that kind of budget. There’s no spontaneity whatsoever,” Schakowsky added. In a Politico op-ed, Strickland explained that he was unable to complete the week-long challenge with a budget of just $77. One particularly difficult aspect the governor discussed was eating a healthy diet while living on a $7.25 hourly wage. Schakowsky and Ryan have also taken to social media in recent days to share their message about the challenges facing minimum wage workers. “There are a lot of people out there who do this for extended periods of time–years–so the idea is to get the message out and raise awareness about some of the difficulties that can happen to you,” Ryan told ABC News. Schakowsky echoed Rep. Ryan’s sentiments. “I’m not going to pretend that now I understand what it’s like to live on the minimum wage. I think it’s a taste of it. But for anyone who thinks it’s a gimmick, my suggestion would be–try it,” Schakowsky said. Ryan and Schakowsky were co-sponsors of the Fair Minimum Wage Act of 2013. Their goal is to increase the federal minimum wage from $7.25 to $10.10. The push to increase the national minimum has steadily intensified in the past year–as the minimum wage has remained unchanged since 2009. Last week marked the five-year anniversary since Congress last passed an increase to the national minimum, while the wage for tipped workers has remained at $2.13 an hour since 1991. That’s $28 above what a minimum wage worker has to live on for a week. When asked about plans for reintroducing minimum wage legislation, Schakowsky was optimistic, but expressed concerns over whether Speaker of the House John Boehner would bring the bill to a vote. “We’re hoping that we’re going to see another vote on it in the Senate and that there will be more pressure,” Schakowsky said. Ryan, however, was not as optimistic about the bill’s prospects before the midterm elections. “I doubt it. The speaker’s holding the line on this. And I hope it’s a rallying call for the 65,000 minimum wage workers in my district–and the million and a half across the country,” Ryan said. Yes, Germany is now considered a blossoming land of opportunity for immigrants. It is the top immigrant destination in Europe and only second to the U.S. in number of immigrants welcomed in 2012. The country has radically simplified the immigration process for educated E.U. citizens and foreigners and has developed special programs to encourage unemployed Europeans to migrate, with Germany footing the bill. Jordi Colombi, a 36-year-old Spaniard profiled by the Washington Post, exemplifies this migratory pattern. Colombi’s journey from unemployment in Spain to flourishing architect in Germany is symbolic of a functional immigration system. Germany, who the Economist calls “a bastion of strength in the fragile euro zone,” is experiencing a surge in jobs and an employment peak for the first time in 2014 since 1990. And it is growing and thriving in part because the country has laid out welcome mats for people wanting the “German dream.” Meanwhile, America’s stale immigration system that is indefinitely locked in limbo could learn a thing or two from Germany’s success. Germany Immigration Policy 101: In 2013, a record high of 437,000 immigrants flooded onto Germany’s border, Deutsche Bank reported. That influx has aided a shrinking pool of German workers, where the country “has Europe’s oldest population and second-lowest birthrate after Monaco,” according toBloomberg Businessweek. Specific policies are tempting foreign individuals to seek out Germany’s employment opportunities and transition programs. E.U. nationals can easily migrate between the 28 nations. But Germany went beyond that measure by instituting a “Blue Card” system in 2013 where anyone “with a university degree and a job offer with a minimum salary of $50,000 to $64,000 a year, depending on the field” can immigrate, theWashington Post reported. Additionally, Germany invested $609 million in a program targeting unemployed European 18- to 35-year-olds. The country pays for almost all of their assimilation including travel, language classes and accommodations during job training (though the program had to stop taking new applicants in April). Meanwhile in America: On the other side of the spectrum, the U.S. continues to display an aggressive and degrading approach to the immigration issue. Particularly as the country faces what President Barack Obama has declared “an urgent humanitarian situation,” with more than 47,000 unaccompanied children that have been detained crossing the U.S.-Mexico border since October 2013. This is how Governor Rick Perry (R-Texas) decided to respond to the flood of children fleeing their poverty-ridden and violence-laden countries in Central and South America. And Perry, holding an automatic weapon to “protect our borders,” isn’t even the half of it. In early July, misinformed protesters — demonstrating against so-called illegals who threaten their jobs and apparently spread diseases — blocked three busloads of the detained children from going to detention centers in Murrieta, Calif. Filling America’s workplace needs is a huge challenge. On one end, U.S. agriculture and the food and hospitality industries seem to have an insatiable need for unskilled labor—mostly to do jobs Americans don’t want to do. This should not panic anyone. Unskilled laborers with inadequate (or nonexistent) English-language skills are not infiltrating U.S. factories, taking skilled manufacturing jobs away from American workers. Claims to the contrary are a fiction. At the other end of the labor market are the thousands of computer, science, engineering, and other high-skill jobs U.S. employers also are having difficulty filling. This is not a new problem. It’s one of the reasons we have the H-1B visa program, which authorizes the annual hiring of up to 85,000 highly skilled (mostly technology) workers per year from overseas. In a country of 310 million, that does not an invasion make. Final tally: Germany’s immigration system bodes well for the country’s economy. If Germany were to tutor the U.S., they would likely point to their own policies that embrace foreigners and produce a skilled workforce that propels the economy forward. They would also highlight anti-immigrant fanaticism that consistently paralyzes immigration reform. Certainly, the nation grew more quickly in periods when we were more equal, including in the golden decades after World War II when growth was strong and inequality actually diminished. Likewise, a major research paperfrom the International Monetary Fund in April found that more equitable societies tend to enjoy more rapid economic growth. Likewise, if you’re a pharmaceutical executive, one way to create profits is to generate new products. Another is to lobby Congress to bar the government’s Medicare program from bargaining for drug prices. That amounts to a $50 billion annual gift to pharmaceutical companies. I hurt deeply when I think of all the thoughtless violence that is happening around the world in Syria, in Russia, in Ukraine, in Israel, in Gaza, in Nigeria, in Afghanistan, in China, in North Korea, and even in the United States. All these deaths were people who could’ve made a difference in the world, who would’ve innovated and created and grown beyond their immediate surroundings. My heart goes out to the world.